In order to talk about the reasons to have this type of a headache I need to say a couple of things about the anatomy. If we visualize the spine and think of it as just a stack of bones, each individual bone, the vertebrae, comes into contact with the adjacent bone on multiple spots. The two areas that we’re concerned in the context of this discussion is the two points of contact that form the joints. 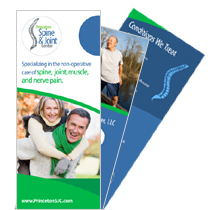 Now these joints are called zygapophysial joints, also referred to as facet or facet joints. They are true joints. In other words, they are comprised of the same components as any other major joints in our body, like a hip, like a shoulder, like the finger joints. And because of that, they are subject to the same kind of influences that any other joint in our body. That joint is supplied by a small branch of the nerve called the medial branch. 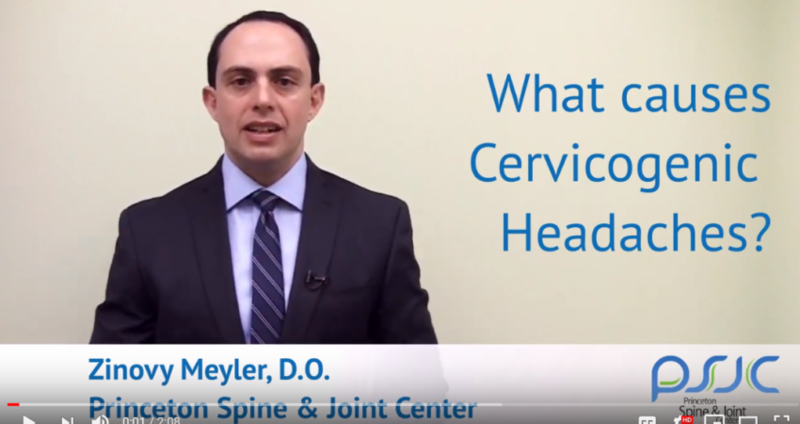 In the upper cervical spine that branch tends to continue on and go to the back of the head, which is why the pain usually radiates in that distribution. Inflammation and irritation in the area, including the joint or the soft tissues around the nerve, usually is the reason to have this kind of pain. In talking of the reasons for this, we can group this broadly into two categories. One traumatic and the other one non traumatic. In a traumatic category, as you would imagine, it’s something along the lines of motor vehicle accident or a slip and fall where there are acceleration / deceleration forces, such as a whiplash. In such forces the joint as it is a hinge, a sliding hinge, tends to create a lot of the sliding movement, which creates inflammation that can persist causing inflammation, irritation, and then neck pain causing the headaches. In the non traumatic category, most commonly we see this as arthritis or changes to soft tissue or connective tissue that causes inflammation, thereby irritating the nerve going to that area.